Oropharyngeal suctioning: The most commonly used form of suctioning in emergency medicine, this type of suctioning maintains a patent airway by suctioning the throat via the mouth. Nasopharyngeal suctioning: An alternative to oropharyngeal suctioning, nasopharyngeal suctioning allows access to the throat through the nose. It can be especially helpful for patients with broken or missing teeth, serious jaw injuries, or any type of physical trauma that makes accessing the mouth difficult. Nasotracheal suctioning: Nasotracheal suctioning, like nasopharyngeal suctioning, accesses the airway through the nose, but is reserved for middle and lower airway issues. Suctioning through an artificial airway: Artificial airways must regularly be cleared of secretions, and suctioning supports this goal. 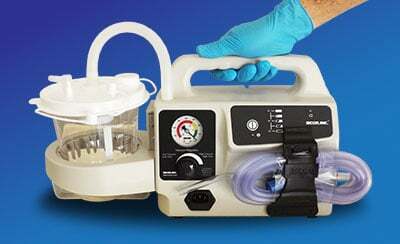 Patients with airway obstructions may also require suctioning through an artificial airway. 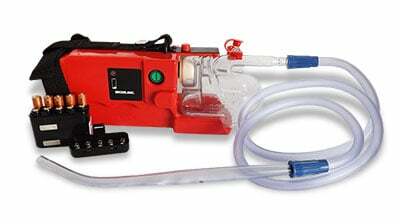 Manual airway aspirators are often used in emergency settings and in low-tech medicine. 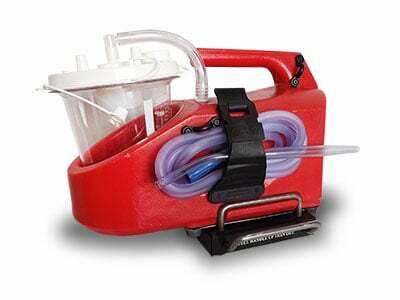 For example, a first responder in a developing nation or war zone might use manual suction. 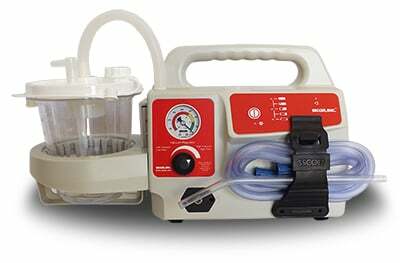 These units are hand-powered and can work well in an emergency, but it is difficult to sustain consistent suction for prolonged use. Virtually any tube-shaped device—such as a straw or a thin pipette—can be used as a makeshift suction device in an emergency. 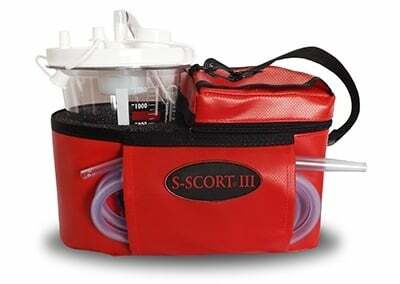 These devices are less reliable and offer less effective and consistent suction. They are also more likely to cause airway trauma, especially when used by an unskilled person. Your agency may want to offer training on makeshift suction to consumers, who may need to use a straw or other device to clear a loved one’s airway in an emergency. Outside of this context, however, there is no reason to use a makeshift suction device. Use of these devices means that a better device is unavailable—something that should never happen in emergency medicine. Traditional wall-mounted suction is the steady, reliable workhorse of the suction world. It gets the job done. The problem is its lack of portability. Even in a hospital that has a wall-mounted unit in every room, patients may need more. 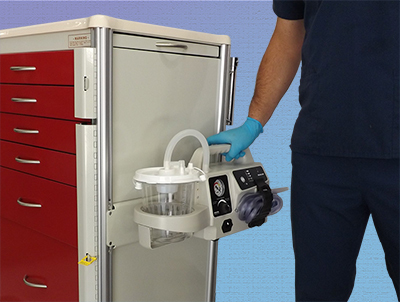 Wall-mounted suction can't benefit an aspirating patient in the emergency room or a baby delivered in the parking lot who has a respiratory obstruction. Under the Emergency Medical Treatment and Labor Act (EMTALA), hospitals must provide stabilizing emergency care to patients within a 250 yard radius of the campus. Wall-mounted suction units are inadequate to meet this requirement. 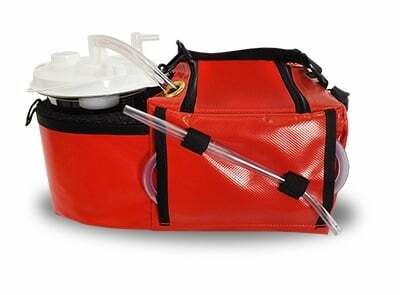 Portable emergency suction devices allow doctors, first responders, and other healthcare workers to go directly to the patient, without the risks and delays inherent in moving the patient. 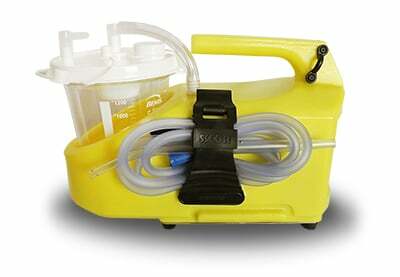 They offer suction similar to that of a wall-mounted unit, but without tying a first responder to the ambulance. 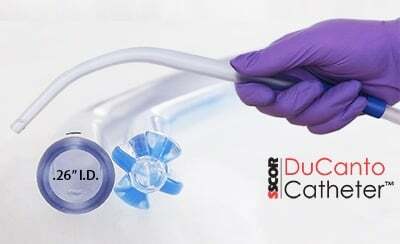 The right portable emergency suction device has a long battery life, is compatible with a variety of attachments, and delivers consistent, reliable suction. For help choosing the right machine for your agency, download our free guide, The Ultimate Guide to Purchasing a Portable Emergency Suction Device.